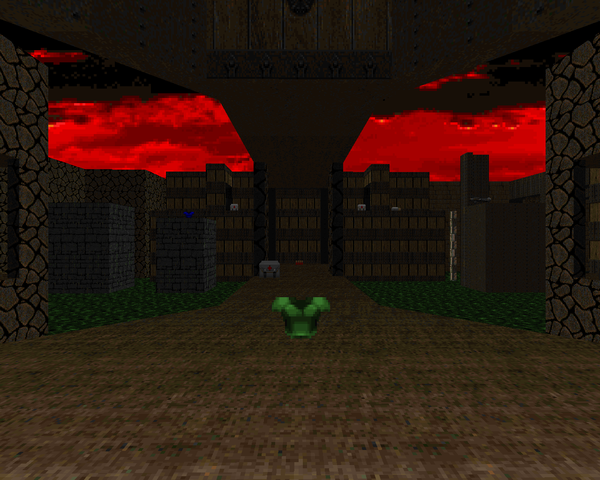 The missing maps have become something of a legend among the Doom community. Certainly, few people would care were it not for the author himself, fabricator of two of Eternal Doom's most infamous maps, "Silures" and "Excalibur". Like fellow TNT member Jim Flynn, Evans had a flair for mind-bending puzzles and switch hunts which when combined with ball-busting encounters made for the ultimate challenge. 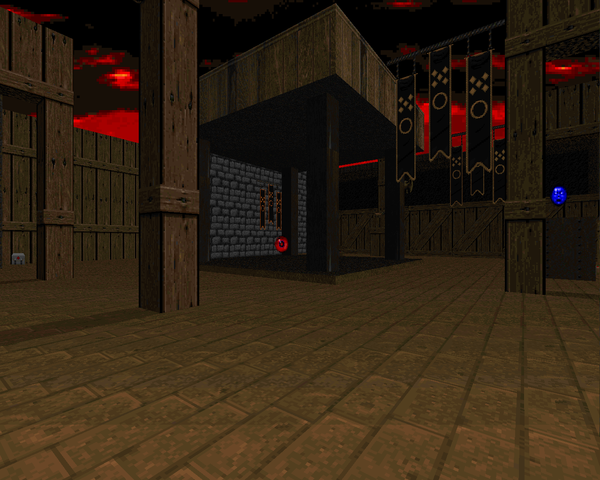 Odessa 14 continues in this grand tradition, even sporting a mix of new textures from Heretic and Hexen, but it's not nearly as obtuse as his Eternal Doom maps. Well, there's one major exception, but I'll get to that. ODESSA14 is a pretty big map, sporting over 400 monsters. You've got a lot of ground to cover, some puzzles to solve, and a huge amount of nasty fights to get through. The best example is right at the start. Hey, you've got a demon in your face! Tear the chainsaw from the wall and mow him down only to find, wow, he's got a ton of friends in the next room. Better grab that shotgun. Oh, nuts, now even more monsters are teleporting into the room. Better grab that SSG up on that pedestal. The rest of the battles can't really compare, but you get some good stuff like the tricky to navigate toxic courtyard and the ambush that lies in wait should you locate the BFG secret. Of all the locations, the southeastern node maze sticks out the most in my mind. The construction is too simple to be confusing to navigate, but there are all kinds of crannies that you won't see on the automap where demons, imps, and chaingunners lie in wait, not to mention the occasional revenant that may teleport further back in the maze to trip you up with an unexpected ambush. At the very center lies an ominous chamber with an incredibly telegraphed ambush that isn't too hard save for the blinking lights. 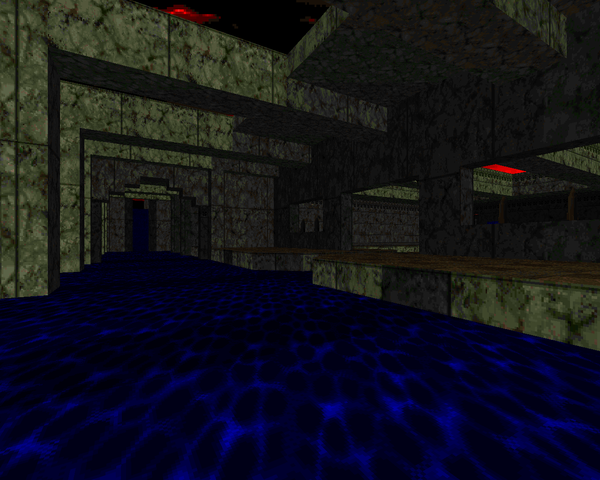 I also like the sluice to the southwest that starts out as pure water but becomes flooded with blood at a key moment. Access to the area is my one bone to pick with the map in terms of puzzles. There is a completely unmarked section of wall you have to shoot in order to open up a wall hiding a switch. I can accept that he wanted you to hit it on accident when fighting some cacodemons in the same cubby, but it's a big stumbling block, regardless. 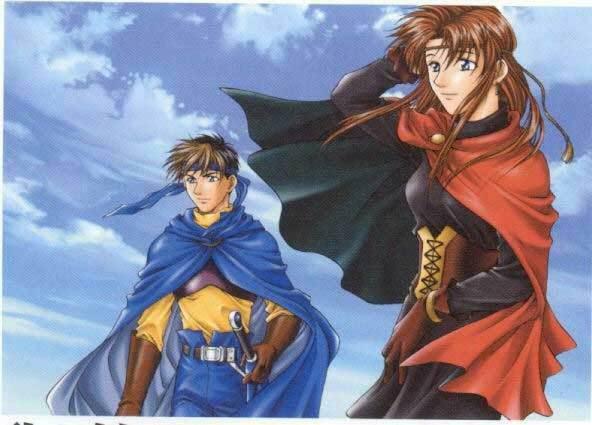 ODESSA14 has the feel of "Silures". The architecture is mostly simple, but large, with the detail appearing through his judicious use of midtextures and serviceable lighting. It's also pretty intense, due to the traps and an original composition by Rich Nagel, the repetitive yet evocative "Cannon Play". Throw in some great moments, like the lights in the wooden maze turning off and then on a few times, and Evans drums up quite the atmosphere. I wish he'd finished the Odessa series, or at least archived the rest on /idgames. 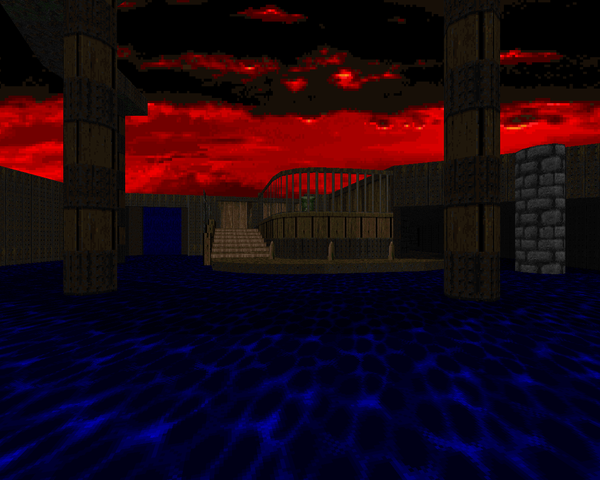 It's a great map to go alongside Eternal Doom if you're into that sort of gameplay, and if you thought those maps were just a little too puzzle heavy for you to really enjoy, you can try this lighter alternative. Holy smokes, Bob Evans! Thanks for the pointer, it isn't often that I can't figure out the solution to a puzzle in retrospect. This wad is dated 1998 (post Eternal Doom!) while all the recovered older Odessa maps have 1995 or 1996 dates. 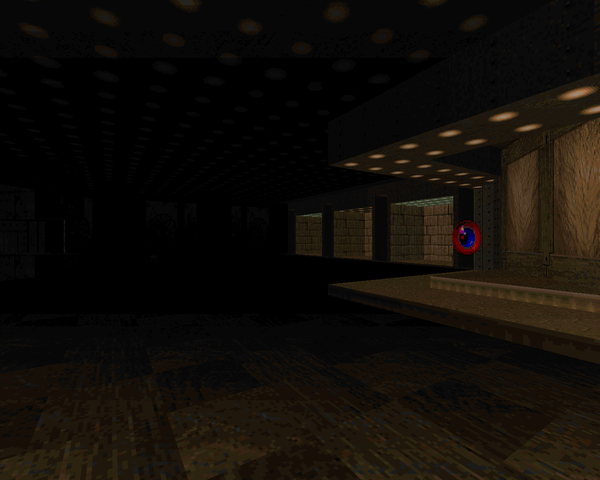 I wonder if he made this around '95/'96 and just polished it off a bit in '98, or if he decided to come back to the series and make another map (that, unlike the others, went straight to /idgames).